Superheros are characters that need no introduction. We are exposed to the iconic crime fighters and protectors of the people through comics, TV series, and flicks since we are little kids. We all dreamed of possessing their extraordinary superpowers, and dressed up like them for Halloween and other costume parties. Wonder Woman’s lasso and bracelets, Iron Man’s powered armor suits, Thor’s hammer, and Green Lantern’s power ring are no match for John Williams’ brilliant heroic march (Superman, 1978). 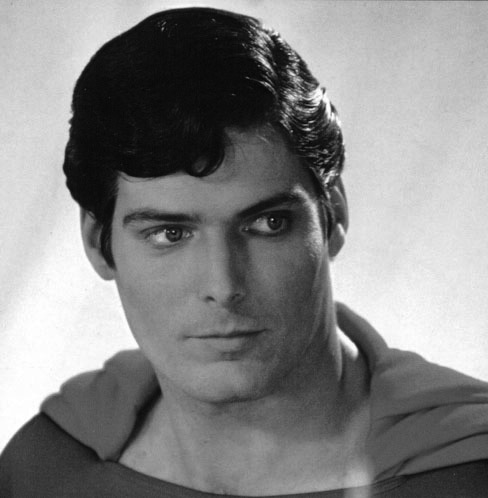 The first major superhero film featuring Christopher Reeve lives in our memories and in our hearts. Get ready to be propelled into space, and fly into a fantastic and melodic journey. The Joker, the Riddler, Two-Face, Poison Ivy and other psychotic criminals at the Arkham Asylum are probably asking themselves “Can somebody tell me what kind of a world do we live in, where a man dressed as a bat gets all of my press?” (Batman, 1989) The Penguin, Catwoman, and Mr. Freeze will probably tell them that is hard to compete with Bruce Wayne alter ego when he is driving the Batmobile with Danny Elfman’s “The Batman Theme” soaring in the background. The dark, gothic, powerful and mysterious superhero score is truly awesome and highly memorable. The Dark Knight again landed a great musical score in the film Batman Begins (2005). Composers Hans Zimmer and James Newton Howard collaboration is the second best example of how two composers can complement each other (sorry Lennon and McCartney still win). The music evokes feelings of sadness, mourning, terror, tension, and provides powerful driving music for the action scenes. “Molossus” and “Antrozous” are my favorite tracks. “In a stunning turn of events, a superhero is being sued for saving someone who, apparently, didn’t want to be saved” (The Incredibles, 2004). Michael Giacchino’s score for the animated superhero movie features lots of brass, saxophone, and 1960’s spy film nostalgia. “The Glory Days” is a perfect blend of big band jazz and classic John Barry-esque music. “The Incredits” is the best superhero score for closing credits since an amazing piano piece was used for the impulsive alter ego of Dr. Bruce Banner (“The Lonely Man Theme” by Joe Harnell from The Incredible Hulk TV series, 1977). “Spider-Man, Spider-Man, does whatever a spider can.” The theme song of the 1967 cartoon (re-recorded by Michael Bublé in 2002) still remains the most memorable tune for Peter Parker, despite two excellent scores penned by legendary composers Danny Elfman (Spider-Man, 2002) and James Horner (The Amazing Spider-Man, 2012). I will also like to highlight two recent fine compositions in the Marvel superhero universe: the great epic action romp “Driving With the Top Down” by Ramin Djawadi (Iron Man, 2008), and the soaring “Captain America March” by Alan Silvestri (Captain America: The First Avenger, 2011). Finally, let’s close with the extremely memorable “Flight of the Bumblebee” (Green Hornet TV Series, 1966), arranged by Billy May from an original composition of Nikolai Rimsky-Korsakov. It features an amazing solo by Al Hirt, a true trumpet superhero.